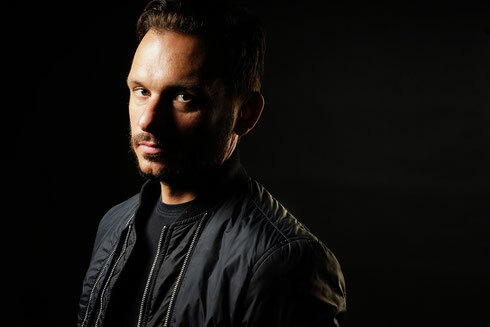 Andy C recently announced his forthcoming ‘Andy C presents…’ UK club tour. The 11 date tour will visit a different British club each weekend from 1 October through to 9 December, with shows at Manchester’s Warehouse Project, Oxford’s O2 Academy, Digital, Motion, and beyond. Tickets are on sale now. Currently in the middle of a packed festival season with over 40 shows across the globe this summer, Andy’s had a groundbreaking year. He sold out his debut solo show at London’s Alexandra Palace in March (following his second sold out show at O2 Brixton Academy at the end of 2015), and recent highlights include performances at Creamfields, SW4, Leeds, Park Life, Wild Life, NASS, Let It Roll, Hideout, EDC UK, Together, Snowbombing and lots more. Andy C’s ‘New Era’ was his first original material since 2014 and was released on his RAM Records imprint in February. His next single release for Atlantic Records is scheduled for later this year. His last single was ‘Heartbeat Loud’ ft. Fiora, for Atlantic. Andy’s remix of Sigala feat. John Newman & Nile Rodgers was his first since remixes for Major Lazer (Andy’s remix of ‘Get Free’ was B-listed by Radio 1) and London Grammar. In 2015, he also released an unofficial remix of Jack U’s ‘Take U There’, one of the most sought after highlights of his DJ sets. 2015 also saw the whole of Andy’s ‘All Night’ UK tour sell out in advance. The first editions of his ‘All Night’ tour in February and March of 2015 also sold out, as did his headline EU tours. He finished off his biggest festival season yet with Bank Holiday appearances at SW4 and Creamfields, plus further headline slots at Glastonbury (for the Essential Mix live), his debut at V, Wildlife (where he was the only D&B artist at the festival), and Park Life. His international festivals included events in Las Vegas, South Korea (at the Olympic Stadium in Seoul to 30,000 people), Belgium, Australia, Czech Republic, Spain, Romania, Canada (Toronto), and the Caribbean, plus an extensive US tour that included Ultra Miami. His Ibiza dates included a monthly residency at Together at Amnesia Ibiza.